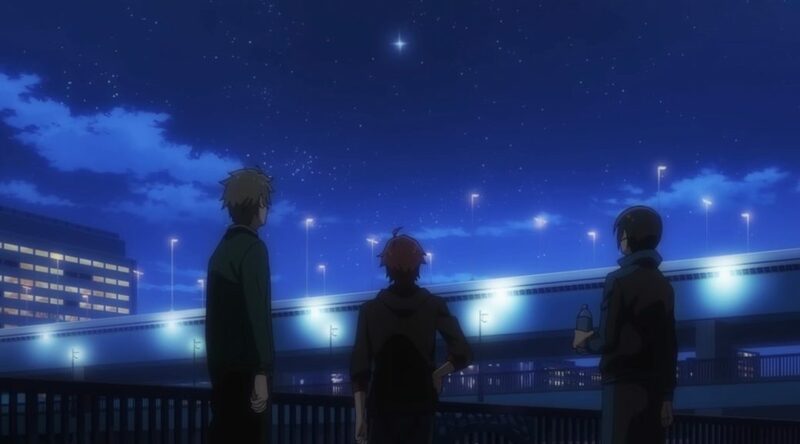 While last week’s Episode of Jupiter served as the official kick off for SideM, its main purpose actually was to act as a bridge between this series and the original Animas. Old themes, events and even the soundtrack of the latter were ever-present as Jupiter slowly transitioned to their next stage. Their past is important, but their new vision isn’t bound to it; it’s not as if they plan to get rid of what made them Jupiter in the first place, but ultimately the goal is to bring out something fresh. 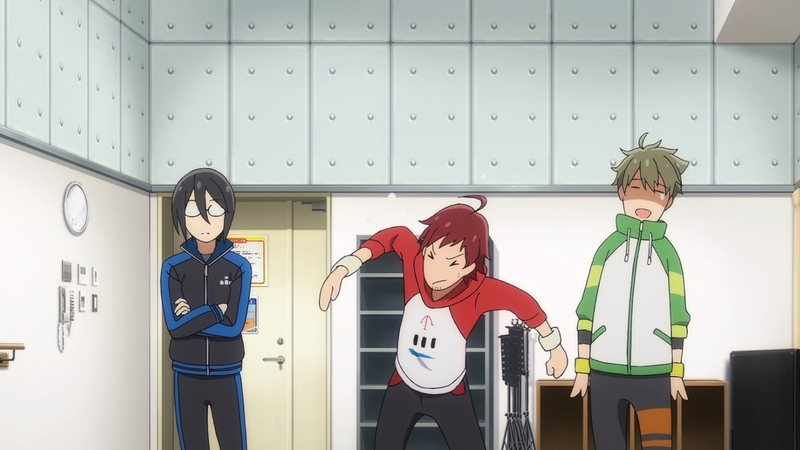 On the opposite end of the spectrum we have Dramatic Stars, who take the spotlight for this episode. 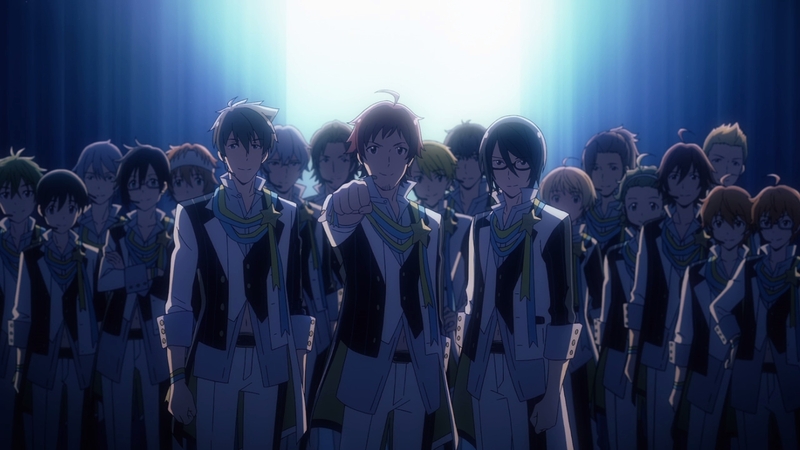 And if anything, this feels like the real starting point for SideM: their status as complete rookies aiming to establish their own image is the perfect venue for the show to shift away from the general nostalgia of Episode of Jupiter and find its own footing, and by all means it accomplishes that. This isn’t just the beginning for Dramatic Stars. 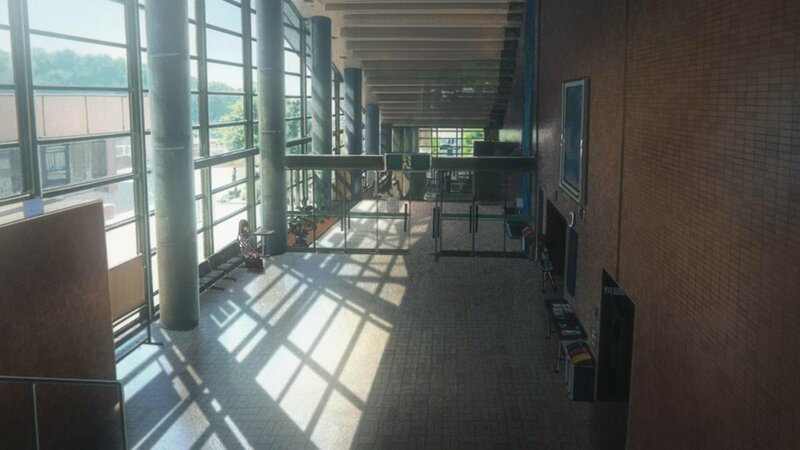 It’s the beginning of director Miyuki Kuroki‘s vision of imas. That being said, her vision isn’t one that strays from the general tone prominent in previous adaptations. Quite the opposite, in fact. 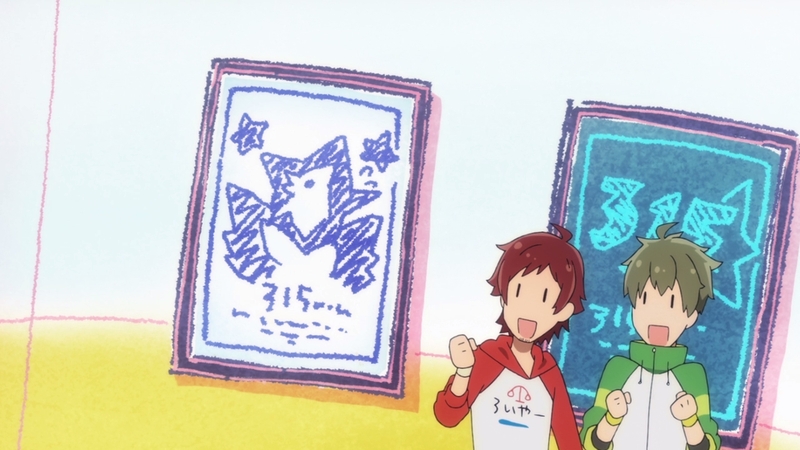 There’s a certain something that makes imas anime feel as such – a pretty vague assessment that might be confusing if you don’t have much experience with the franchise, I’m aware! I’m inclined to say that I’m not alone in this sentiment, though, judging by the number of people that have commented on how this episode would feel right at home in Animas without being able to explain precisely why. It’s definitely not just the familiar faces, at least! 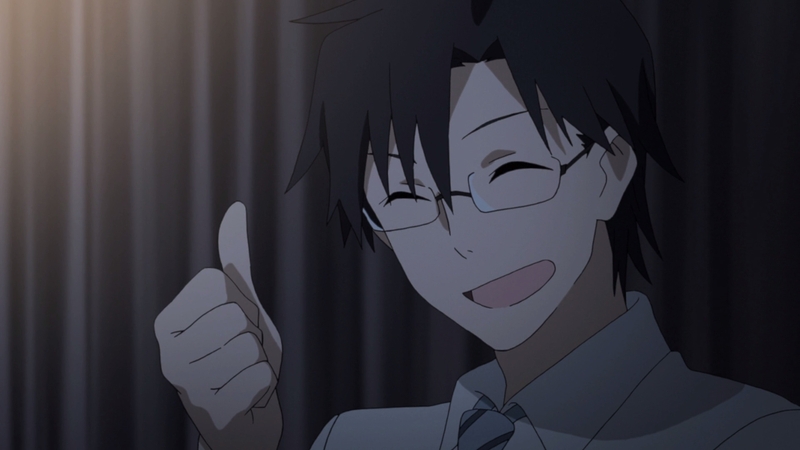 You would think it’s an easy task to weave that something into the core of an imas adaptation given how seamlessly Kuroki accomplishes it, but that’s only a testament to her understanding of the franchise, no doubt thanks in part to her continuous involvement with it. It’s frankly encouraging how she’s seemingly absorbed some traits from her predecessors and has every intention of putting them to good use, though that’s by no means all she’s capable of. Her ability to preserve that aspect of imas is worthy of praise for sure, but the real accomplishment is doing so without it being at the expense of her own voice. 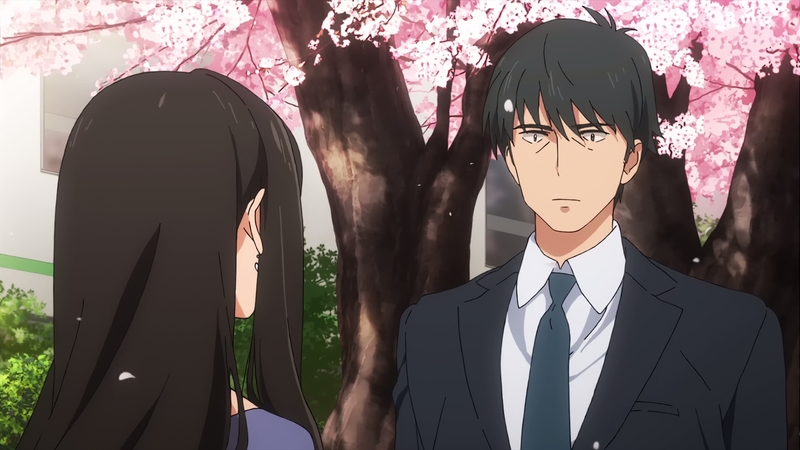 She’s struck a pleasant balance between the somber and lighthearted, and the events leading up to Teru becoming freelance show a wonderful shift from what seems like a hopeless situation to one that inspires hope in his client. 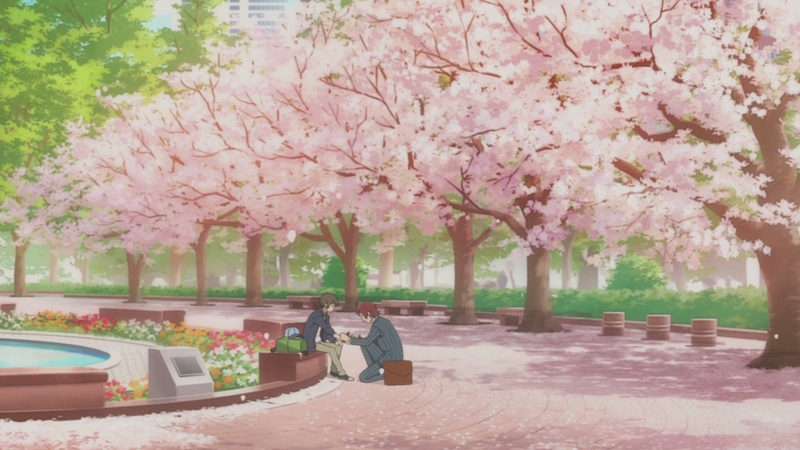 The heavier, personal situations never feel out of place in an episode that embraces cartoonish visuals more often than not, and I’d even argue that they lead to a more rewarding payoff in the end. Look no further than Kaoru himself when his stubborn mentality to do things on his own is finally shattered, the end result easily a highlight of the episode with how it showcases both him as a character and Kuroki’s own fun and creative storyboard. That touch is present all through the episode, her reach so wide even transitions are used to both dramatic and comedic effect. If her goal is to keep on impressing me by showing new sides of her, then I hope she never stops! While that something I keep mentioning has been a constant for the franchise thus far, there’s also been a trend of making sure a certain important aspect is explicitly different with each iteration: the Producer. 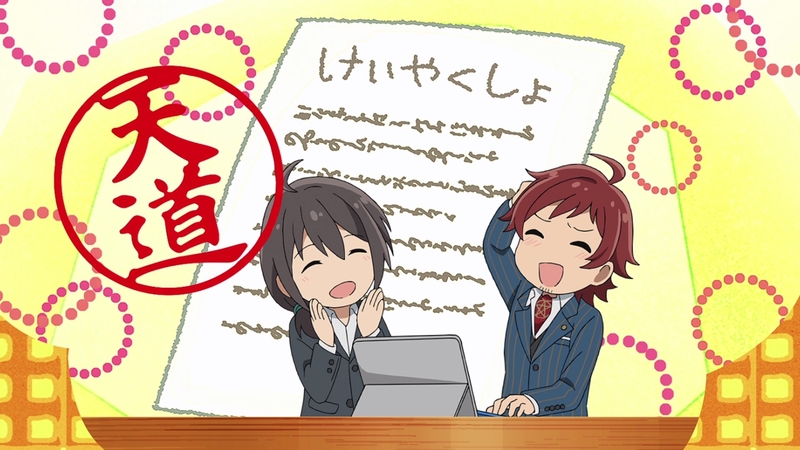 Cinderella Girls mastermind Noriko Takao can be credited for this trend, as it was her vision that lead to the birth of the unusual yet unforgettable TakeP. Others on the team thought it may be better to have him more reminiscent of Animas‘ BaneP at first, but eventually conceded after understanding the potential hidden within such a vastly different approach. 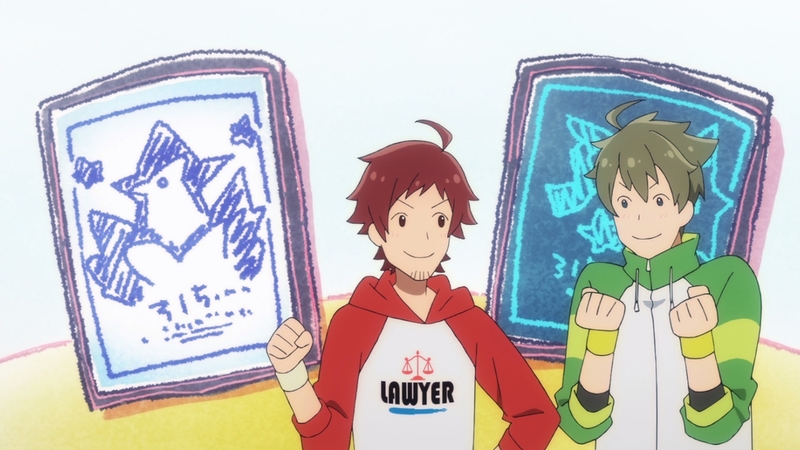 In SideM‘s case the debate was always clear: will the Producer be male or female? Putting the logic behind those arguments aside as that’s not a topic I want to touch with a ten foot penlight, Kuroki opted for the former. It’s still too early to tell which direction they’ll take with him for the endgame, but his conversation with Teru makes it clear that he’s a very different figure from his predecessors. 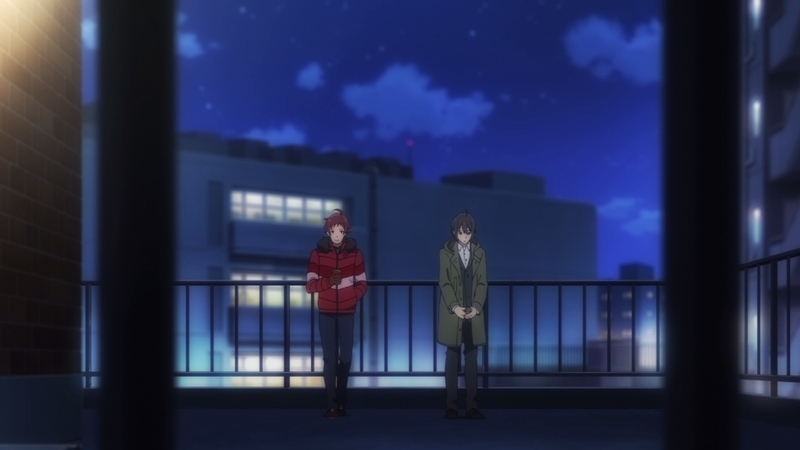 In Animas we saw BaneP follow a straightforward yet captivating path as he grew alongside the girls at 765 Pro, while TakeP’s slow burn at overcoming his communication issues and having his own feelings understood by the Cinderella Project members was a key part (though it never overshadowed the idols) of Cinderella Girls’ more grounded story. IshikawaP seems to be more of a figure that can easily be relied on and will help the newcomers to 315 Pro find their own way, though again, it’s a bit early to make too many assumptions. 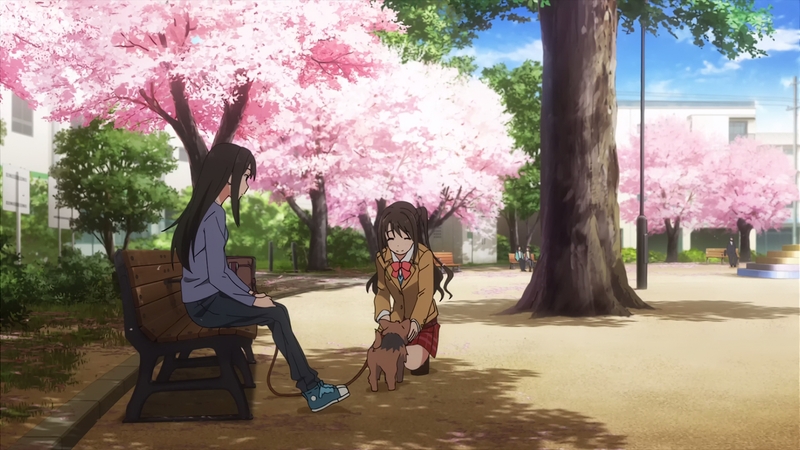 Let’s sit back and see where Kuroki’s vision takes us this time around, while also appreciating how his voice actor Ishikawa Kaito is a noted imas fan who’s gone on record to say that he’d be willing to do anything to take part in the franchise, even if it meant voicing a dog. Heartwarming casting decisions like this always bring a smile to my face – my favourite being Million Live cast member Murakawa Rie appearing in Hunter x Hunter 2011 when it was the 1999 adaptation that inspired her to pursue that career path – so props to the staff for that! There’s some interesting information to gather by looking at the credits for this episode as well. 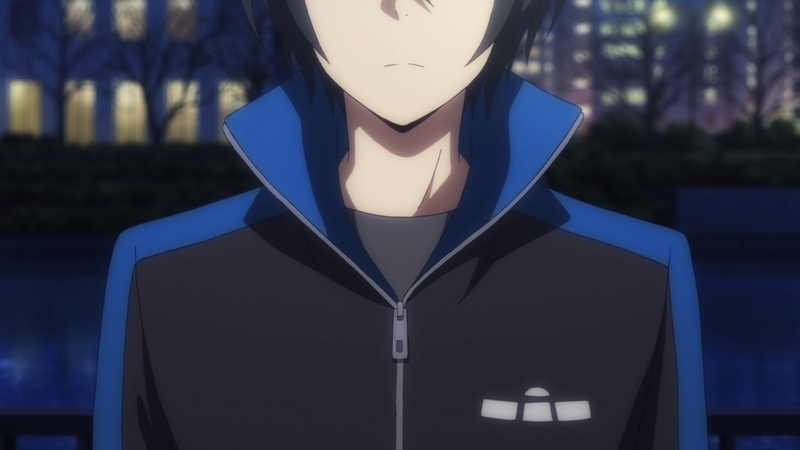 I mentioned during Episode of Jupiter that some curious names had turned up in the key animator list, but here we have a genuine surprise in the form of Ai Yukimura. Studio Madhouse’s decline through the departure of key staff is a topic that’s been brought to attention here before. One that’s very much related to her, though not in the way you’d think. 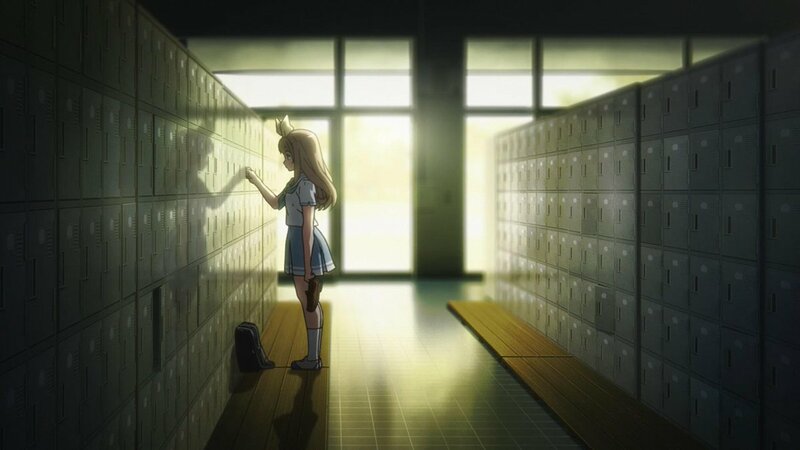 Madhouse isn’t where she made a name for herself, but her departure from the studio went on to show that losing established figures wasn’t the only issue; letting go of promising talent who were sure to bloom in a few years time was just as big a problem. In this case, it was her arrival at KyoAni that sparked her eventual rise to prominence, turning heads on her episode of Love, Chunibyo & Other Delusions‘ second season and eventually reaching the stage where output like Sound! Euphonium #11 seemed like just another day at work. She departed the company soon afterwards due to her desire to live in California while learning English before returning a year later to work freelance, ending up on Signal MD’s Hirune Hime before arriving here. It’s an interesting development when you take imas‘ ability to attract former KyoAni people – look no further than Noriko Takao herself there! – but it’s hard to say if anything else will come from it. In an ideal world she’ll go on to handle an episode later on in the show, but that’s just wishful thinking at this point. Never hurts to be prepared for the possibility, though! You can tell I’m struggling to get used to this format in comparison to production notes posts judging by how long it took to find an appropriate structure and polish it off. Late as it is though, I still felt this episode deserved its own post rather than being bundled up with #2. 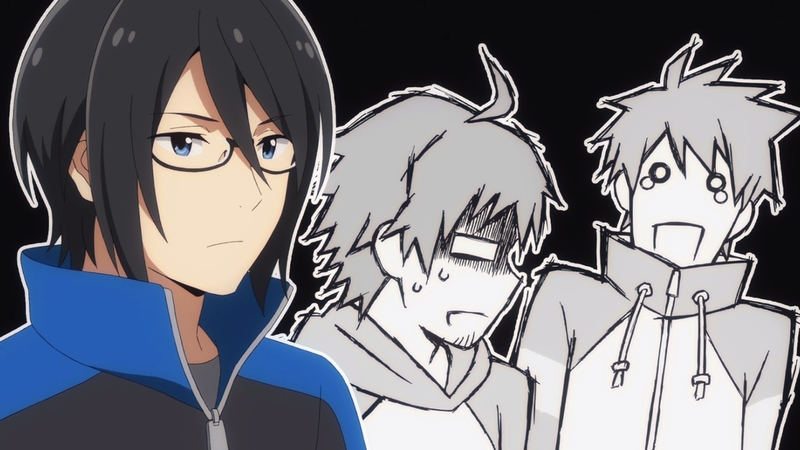 That means two SideM posts in a week though, so there’s a silver lining! Heads up, every mention of “idolm*ster” on this site probably because of the @ symbol gets filtered to “[email protected]”. Pretty sure that’s a product of having the site forbidden in NoScript.